We find a unique testimony before us which is expressed in song and personal narration. The recordings open the microcosm of John (Hovhannes) Cherishian’s Marash world before us. Hovhannes heard and learnt the lullabies, prayers and songs (although not all of them) heard here in Marash during the years of his childhood, adolescence and youth. The songs are often accompanied by prefaces, in which Hovhannes tells of his mother, his family, his wife and about Marash Armenian life generally. All of this, in our opinion assist us in knowing the Marash Armenian, his daily life and social environment better – things that are some of Houshamadyan’s main aims. It is for this same reason that we decided to cut only the very minimum from these recordings. Those that have been deleted are only of a few minutes total duration and are pieces of music played on a mandolin (without words). The recordings are presented, therefore, almost complete, because we are convinced that they will more truly reflect the world described by Hovhannes, and enliven the Marash atmosphere he has recreated. We have attempted, in our transcription, to retain Hovhannes’ language as much as possible, only making some grammatical corrections. There are, of course, things in the recordings that need explanation. So for example the whole recording is in Armenian and the absolute lack of Turkish songs is very apparent. 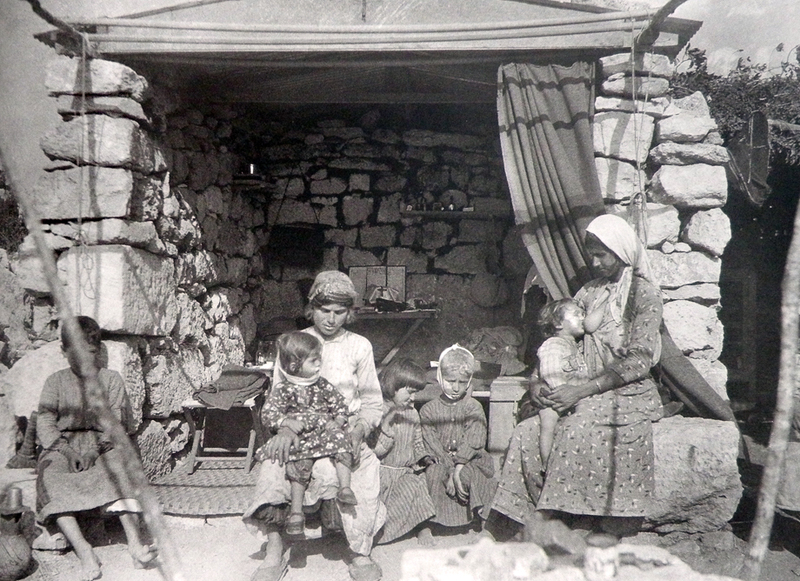 The Armenian people of Marash, as well as the surrounding area, were Turkish speakers. 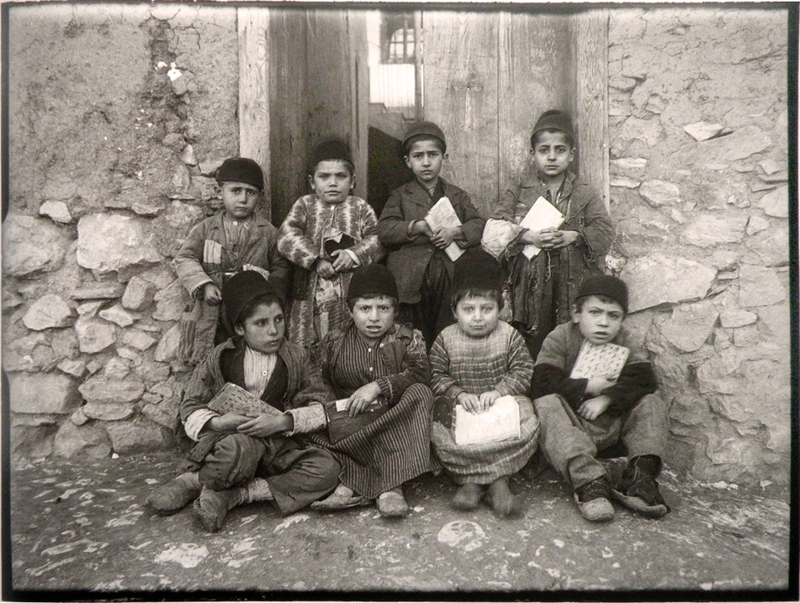 To talk and sing in Turkish was part of the Armenians daily lives. Many of them have retained this characteristic even after they finally left Marash. 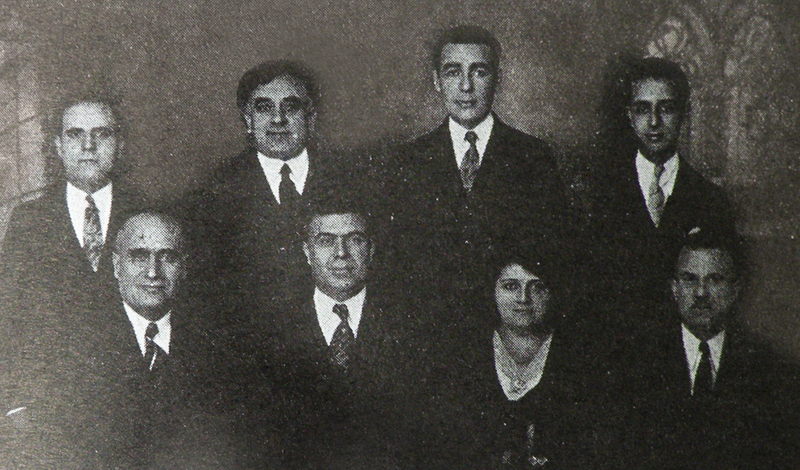 Hovhannes Cherishian, according to his nearest and dearest, also continued to speak Turkish in New York, whenever he was seated with compatriots from Marash of his own generation. According to other testimony, we know that the diasporan Marash Armenian would withdraw to a corner of his home, away from his children and grandchildren and, in solitude, sing the songs in Turkish that were so dear to him. In other words we are convinced that for the first generation of people from Marash that lived the Catastrophe, Turkish – for song and speech – was the best means of expressing their inner world. Be that as it may, they often practiced self-censorship. This is obvious in these recordings made by Hovhannes Cherishian for his children and granddaughters. This is his gift to the generations succeeding him who generally don’t speak or understand Armenian, but to whom the father or grandfather wishes to leave an oral legacy of his Armenian world and family. Thus from Hovhannes’ point of view, we think that the legacy is not only a family one, but also has great Armenian significance. 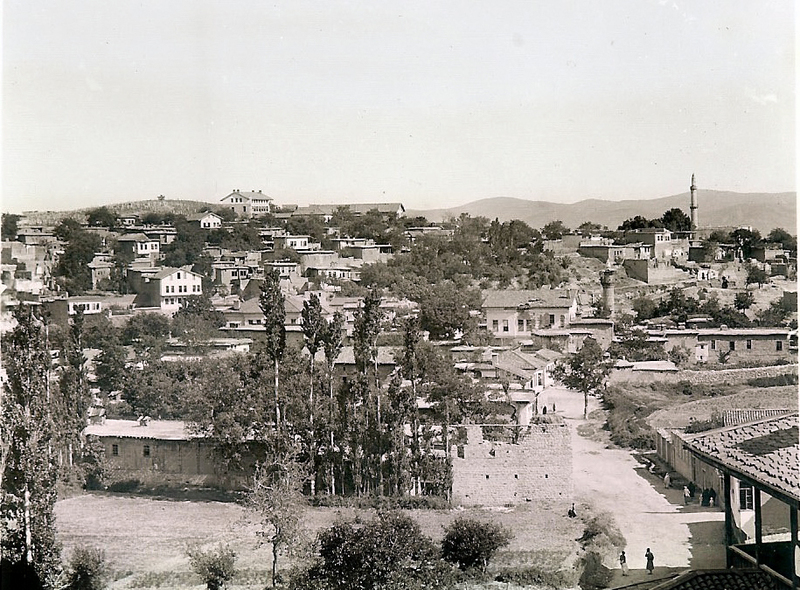 In the post-Catastrophe atmosphere in various exile Armenian communities, speaking and singing in Turkish was part of an Ottoman-Turkish legacy, and ignoring and eradicating it was essentially justified. It is interesting to note the strong presence of Christian-religious subjects and character throughout the entire recording. We know that the Marash Armenian was traditionally a devout and God-fearing. Hovhannes, with his descriptions and songs testifies to this. For him loving the Armenian and the Armenian community was the ‘fountain of belief’, a way of escaping ‘curses’, while Armenian national education, in his opinion, was ‘based on the knowledge and worship of God’. The patriotic and religious-Christian subjects often flow in parallel in his songs. In another place we can see that the words of the second verse of one of ashugh (minstrel) Djivani’s songs have been altered, and have been replaced by a God-fearing theme. He ends the first part of his recording simply with the religious ‘Amen’. Hovhannes Cherishian created this recording between 1957 and 1959. By their very nature, the lullabies and songs below cannot be adequately translated as poetry, and are merely free translations, adhering to the original text, meaning and spirit. In truth, John simply could not recount the lost 1000 years of recorded family life – the modes and moods of the Marashtzi experience – all by himself. “Father, mother, doctor, and priest,” John Cherishian was accustomed to doing everything for everyone. But this was a task he quite simply could not do alone. Serendipitously, it is his mission that I now find myself (with the help of many others) taking up. By all accounts, my great-grandfather was a remarkable man. Born in Marash in 1886, he was the first of nine children - the scion of his family. His mother – only 16 years old at the time of his birth – wanted him to be a priest; by the time he was 13, he had read the bible from cover to cover. A devout Christian, John became a shoemaker, like his grandfather before him, and owned a successful shoemaking business in Marash. As a young man, he enlisted in the Ottoman army and, from 1910-1914, served his homeland with distinction in both Adana and Mersin. Owing to some potent combination of his affability, intelligence, mastery of the Turkish language, and good relationships with his Turkish commanders (“I love you as my son,” they would tell him), he rose to many distinguished positions within the army including Company Chief, Food Commissioner, Chief Accountant, and Chief Sergeant. A great deal of my great-grandfather’s memoir is devoted to this time in his life. In 1915, one year after his discharge from the Ottoman army, John and his family were deported to Syria. My great-grandfather writes only briefly of the transit refugee camp there (preferring not to dwell on the suffering), and yet writes extensively, if not fondly, of the life he procured for himself and his family in Hama and Muhradah (north-west of Hama) after they were dispatched from the camp. During these deportation years in Syria, John ran a successful shoemaking business; made countless new friends; and met his future wife: a fellow Marashtzi and, quite literally, the girl of his dreams. He returned home with his family to Marash in 1919, and married his young love. It was a happy, but ill-fated marriage. 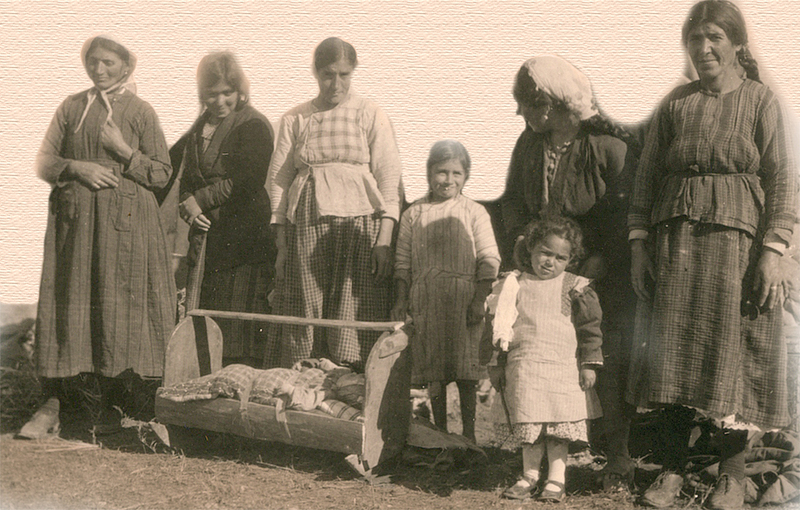 John and his family were just a few of the thousands of Armenians who followed the French troops out of Marash as they withdrew towards Islahiya in February of 1920. Tragically, it was this merciless journey through the freezing cold that killed his young, now pregnant wife, and his brother. He survived the journey to Islahiya, but not without great loss. Upon his arrival in the city, John received a blanket from the American Red Cross. “I have saved it as a souvenir,” he writes. My great-grandfather was a man who saved a Red Cross blanket as a souvenir; who repeatedly pulled out his “field glasses” to discern what was happening across a distance; who ached until the end of his life over the loss of his family records. His desire to preserve, to protect, and to understand reminds me all too much of myself. And yet even he – even I, in this very text – must omit some realities in order to convey others; must navigate the line between choice and loss. Of course, in order to represent one’s history, one must first reconstruct it. But then, this is life. We are our stories. And while I, like my great-grandfather, grieve for the loss of the thousand-year old chest, and for the thousand years that that chest represents, I am also heartened by the efforts he did make to tell his stories, and by the strengths and tendencies I have inherited – in part, from him. There is, after all, no better glimpse into the past than a long look at myself today: sitting on my floor, writing a family history, longing to recapture just a small piece of what had previously been lost. From Islahiya, John went to Izmir; and from Izmir to New York City. He remarried, “in order to restore the ruined ancestral hearth.” His new wife, my great-grandmother, was the cousin of his late first wife. Together, they had three children: my great-aunts, and my grandfather. The family lived together in Brooklyn, New York, where John was again a shoemaker – of a new, American sort. Despite his efforts to revive the spirit of Marash in his second fatherland," America would always remain to him, in part, an “amansız land” – a merciless land. John Cherishian died on September 18, 1967, at the age of 81. He had completed his memoirs only the year before. Here we present the transcription of Hovhannes/John Cherishian’s sound recording. It has been translated from Armenian into English. I am going to sing and play several of my martyred and late-lamented mother’s lullabies in her memory. I should like to say a few words about her before I do so. 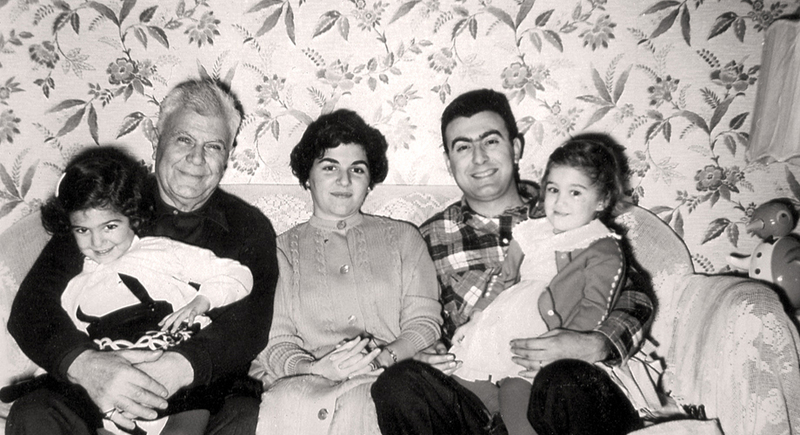 My late-lamented mother was born into the Varjabedian family that produced 37 married priests one after another, each of them called Reverend Hovhannes. My late-lamented mother was an educated lady for her time. 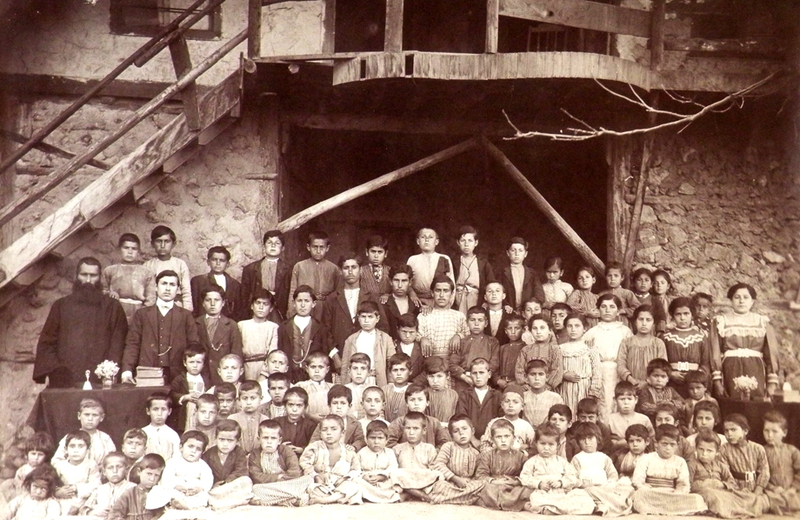 She got her education in the first Armenian girls’ school opened that was attached to Marash’s St Sarkis church. She was one of the first students, alongside her cousin (her fathers brother’s daughter) Yevkine and Khudzig Der-Ghazarian and two other Armenian young ladies. That period was known as the ‘Awakening’ time in Marash, during which a boys’ high school (‘Gymnasium’, Djemaran) was opened under my father’s (Rev Ohannes Varjabedian) direction, attached to the same St Sarkis church. My sainted mother was indebted to her cousin (fathers brother’s son) and godfather the teacher Hovnan Varjabedian for the knowledge she gained of many patriotic songs. Because hers and Miss Khudzig Der-Ghazarian’s voices were so beautiful, they became the first young ladies to wear a cassock in church. The surprising thing was that my mother-in-law was one of the first young ladies to be allowed to wear a cassock in the church of St Stepannos in Marash at the same time. In the future these ten young ladies, apart from each becoming a mother in an honourable family, together opened an Armenian girls’ school attached to the Marash Community Central School, raising it to an estimable standard. The girl students were forced to learn complete church ceremonies. Although in my day young ladies didn’t wear cassocks, on the feast day of the cathedral of the Forty Innocents – it always occurred on a Saturday – the festival was celebrated with the greatest solemnity. Mass was said with the solemnity during which men couldn’t enter the church. The cathedral was filled from end to end with Armenian ladies and girls, apart from the married priests (kahanas) and the deacon, and the whole ceremony was carried out by young ladies – who with their wonderful voices transported the congregation to a heavenly plane. May the memory of the just be blessed. Im siragans kun ge dani. My love is going to sleep. Miayn tu yed bid mnas. Fortune has favoured the Armenian nation. Here I will give another of her lullabies. It is sung by both mother and child and is very emotional. There were nine of us children in the house – six boys and three girls. We quite often sat rounder her and said ‘Mother, sing the mother and child lullaby.’ She sang in a sweet voice; sometimes we would laugh and sometimes we would become emotional. I’ll bring out very old memories and never-to-be-forgotten … [here he becomes emotional]. The name of the lullaby is ‘Anush knige achern arer’ (Sweet sleep has taken [the childs] eyes). As the tune and song was very high, I want to recite it verse by verse. Zis artsage, mi eser oror. Yes dzidz gu dam g’esem oror. Yes gu lam g’eses oror. Ov g’uzes an togh ese oror. Kich me amenene ese oror. Achuk bah bah esem oror. I’ll tell a lullaby with a sweet song. Let me loose, don’t sing a lullaby. I’ll give you the breast and sing a lullaby. I’ll cry as you sing a lullaby. Why do you let them run down your face? Let whoever you want sing a lullaby. I’ll close my eyes, you sing a lullaby. I’ll sit in your shadow and sing a lullaby. Then squeeze me and sing a lullaby. For no reason I’ll sing a lullaby. From a little of all of these sing a lullaby. Close your eyes and I’ll sing you a lullaby. You sing a long, long lullaby. Armenian national education is founded on theology and on the worship of God. I will recite here the first childish prayer I learnt from my mother. I will now sing the ‘Hayr Mer’ (Our Father) I learnt from my grandmother which is completely differently composed and with a different tune. I’m going to sing and play this one for my late-lamented wife Nazeni’s immortal memory. My lamented wife also gained her education in Armenian community schools and was a teacher for many years. The lullaby’s title is ‘Nazei’s lullaby’. 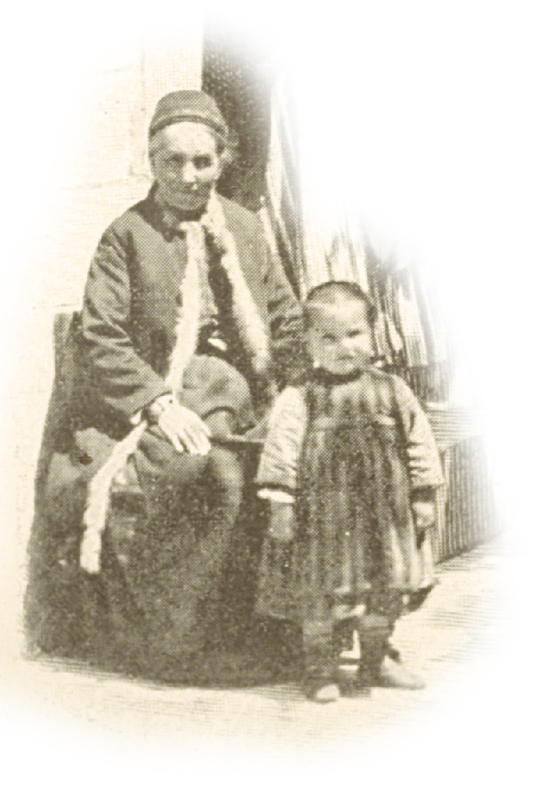 She would say, ‘Knowing of my troubles, Mr Aharonian created this lullaby.’  She would sing it boldly although emotionally, hoping that one day justice and right would be triumphant, so that her son, growing up to be an ideal Armenian, would cultivate and reconstruct the destroyed Armenian hearth. Tu lats mi linir, yes shad em latsel. I will recite the verses here. Don’t you cry, I’ve wept a great deal. Don’t you cry, I’ve cried a great deal. Steve liked this lullaby so much that he wouldn’t sleep without hearing it. He was 5-6 years old when, getting hold of the mandolin, he’d say, ‘Mama, sing “Knir im palig”’ and, taking it from her, would say, ‘I can sing too.’ He couldn’t play [the mandolin] and, getting angry, banging it on the floor, smashing it to pieces. He broke two mandolins that way. Steve is a good boy, in reality I’m very pleased with him; may God protect him and everyone’s children, Amen. Louise, I made this tape for you, so you can appreciate some of grandpa’s singing. This first side is a lullaby from the old country and the other side is going to be just a recording he had made for his grandchildren – or his granddaughters - and the only ones he doesn’t mention are Joanne and Margaret. Well they weren’t born yet so you can see how old this tape is. Anyhow I hope you enjoy it. I know you don’t understand the Armenian but at least you’ll hear grandpa’s voice and some of the old songs and lullabies. Enjoy it honey! I give a few patriotic songs I play as a gift to my very dear grandchildren – for the love of little Nazenig, Rosig, Lori, Maryann and Louise. Inch g’ella dur mi bachig. Why not give me a kiss. What will happen with just one kiss. Im hoku mech var mnalu. I for my life spring-love. That will remain burning in my soul. Martots char achven u lezven. From man’s evil eye and tongue. Now I’ll sing you a lullaby that was one of my grandmothers – your great-grandmother’s – that was the first Armenian one I heard when I was in my cradle. Now I will play and sing ‘Pari, keghetsig, arakini, djishmarid enger [martun]’ ([A man’s] good, handsome, virtuous and real friend), one of ashugh Djivani’s  minstrel songs. Tseregi nman antsnum e mut kishere martun. Vor partsratsne asdidjane mishd vere martun. Who always raises the standard of man. My children love the Armenian nation, the Armenian people, the Armenian fatherland so that you don’t remain under a curse. Now I will play and sing ‘Sire Haye’ (Love the Armenian). My children, love the Armenian, the Armenian nation and the Armenian’s fatherland. That is a moral force in your lives and will be the fountain of light of faith. And begs from door to door. Now I will sing only one verse of the song of longing for the fatherland ‘Odar yergir’ (Foreign land). The ‘Mr Aharonian’ referred to by John/Hovhannes Cherishian was the well-known Armenian writer Avedis Aharonian (1866-1948). He was the author of a play in 1924 titled ‘Valley of tears’. One of the heroines in it was Naze, who sang this lullaby to her child. The words therefore are Aharonian’s, but we have no idea who the tune’s composer was. It is thought that the patriarch of the Chirishian family, Hadji Toros Aptarian, first lived in Zeytun. Sometime in the 18th century, in the company of some other Armenians, he came to Marash and enlisted in the armed forces belonging to Zulkadriye, one of the influential beys in the region. It should be noted that until the Ottoman conquest, great areas were ruled by the Zulkadriye Turcoman tribe. Under Ottoman rule, this tribe’s leaders have been able to retain, for a very long time, their power and privileges. Toros became well known for his bravery, and the beys gave him the title of kabadayı (manly or brave person), as well as approximately 40 shops in the Arasa market in Marash. After Toros’ death his sons – Bedros, Boghos and Hovhannes –lost all their father’s legacy through extravagant living. The eldest son, Bedros, has been on pilgrimages to Jerusalem 18 times. These pilgrimages have been carried out using the land route, during which attacks by Bedouin Arabs on the pilgrims have often occurred. In Jerusalem, during religious festival days, it is usual for fights to break out between believers belonging to different Christian sects. In such circumstances it is always an advantage to have, among the pilgrims, able fighters who are brave and dedicated. They are to be found in the ranks of those from Zeytun and Marash. It is for this reason that the pilgrims from Zeytun have, for example, been given the responsibility, on Easter Day, of bringing forth, then spreading the light of the Resurrection using lamps, to the faithful. Bedros has always taken part in this ceremony. He has always been among the first in Marash to leave for Jerusalem every year. For this reason, when he has appeared during the days before departure, the people of Marash have had the habit of saying ‘çıktı çiriş’ (‘the asphodel has sprouted’). 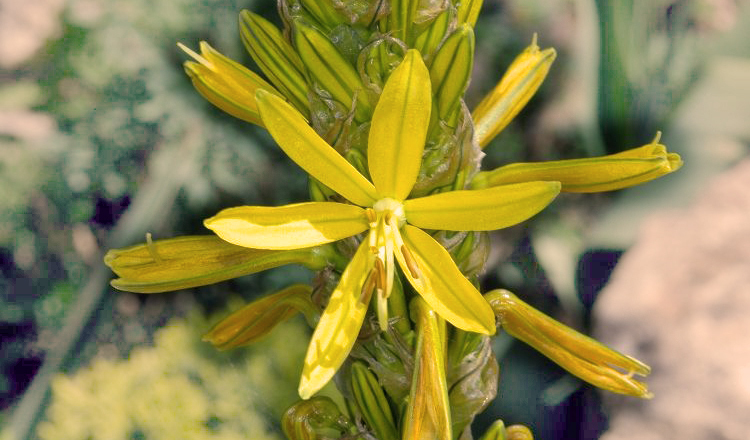 Asphodel (çiriş/chirish) is a plant with clusters of yellow flowers that is considered in Marash to herald the coming of spring. 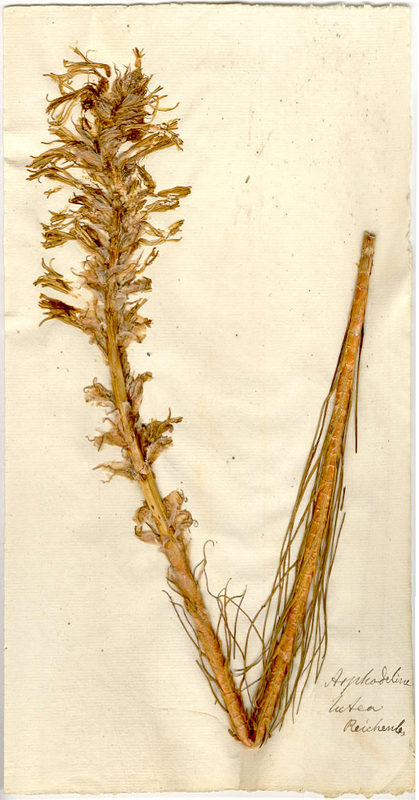 After drying and grinding the root of this plant, the result is a flour-like dust that is mixed with water to form viscous glue which is mainly used by shoemakers and bookbinders in their trades. Whenever this plant sprouts, the Turks of Marash touch their eyelids with it, saying, ‘the blessed asphodel has sprouted (‘çıktı mübarek çiriş’). Therefore this same expression has been used for Bedros too. He died in 1828. The Jerusalem patriarchate then sent a letter to Marash, asking that another member of his family should take over his responsibilities and assume the overseeing of the religious ceremony, order and discipline there. Hadji Bedros has had three sons and two daughters. The oldest, Khacher, has later been more widely known as Khacher Baba. 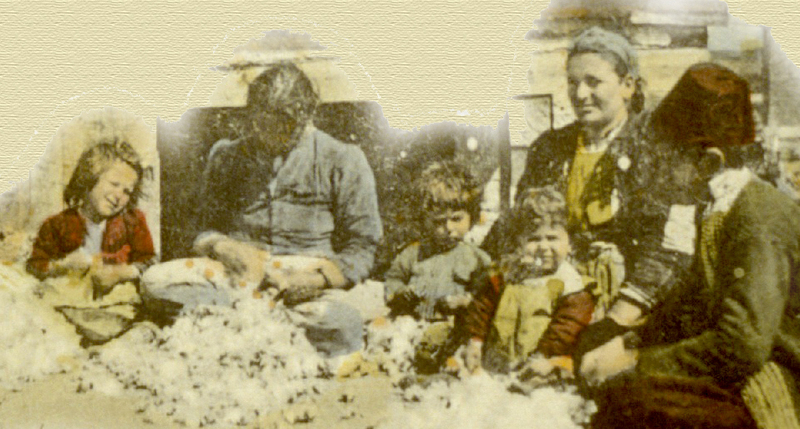 Born in 1815, he was a dyer (probably of cloth) who has looked after his sisters and brothers. 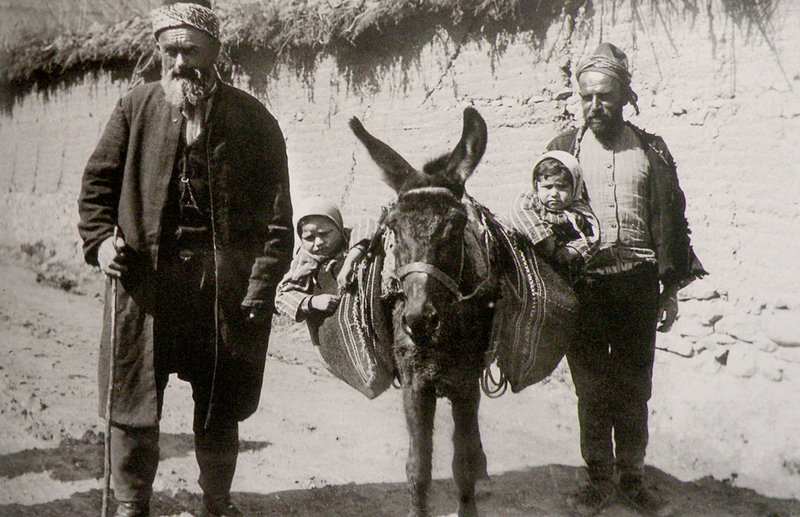 The three brothers have later become cultivators in the Zulkadriye bey’s fields, located around the Armenian Catholic church’s land. Khacher Baba is a well-built brave man, who has gained the appreciation of both the Turks and Armenians of Marash. The story is told that he had a wrestling bout with a Turkish wrestler in Adana and emerged victorious. On another occasion, in about 1850, he learned that a powerful and dangerous ‘madman’, Deli Mehmed, stone in hand, was threatening everyone who was trying to enter the bathhouse in Marash known as the bazar hamam. Khacher immediately hurried to the bathhouse and, with the greatest boldness, attacked the man and knocked him to the ground. The ‘madman’, terrified, ran out of the bathhouse naked, and escaped, shouting, ‘Hurry, hurry, escape! There’s a madman in the bathhouse!’. He married for the second time at the age of 65 and had a child and was still alive during the deportations of 1915. He was first deported to Havran, then to Damascus, where he has become a factory doorkeeper. After the Armistice we find him in Aleppo, from where, like other people from Marash, he has been preparing to return home. Before his preparations were complete however, he had a heart attack and died, without once more seeing his home town.